The best book he's ever seen in his life! :) Adorable! 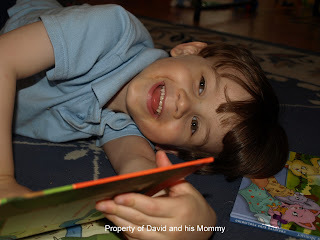 Keep on reading David! He was cracking me up. I wasn't sure he was all that interested until we started talking about it!